Have your ever paid for your coffee using Bitcoins? 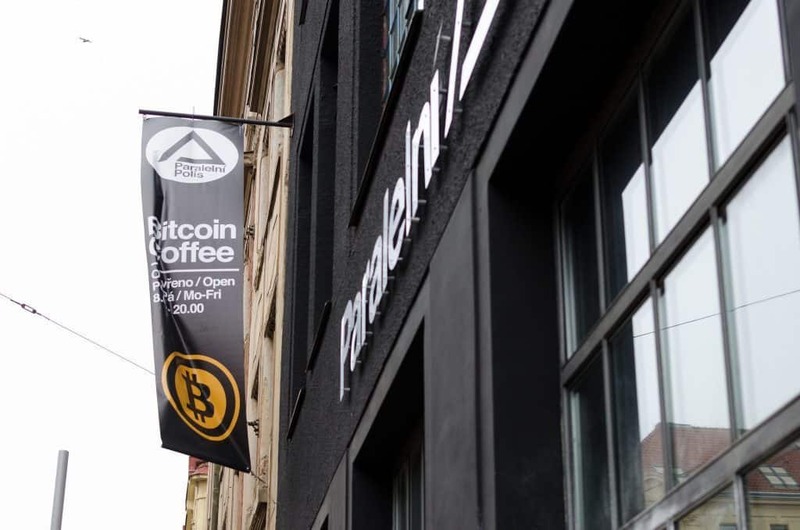 Welcome to Paralelni Polis and its Bitcoin Coffee shop run by coffee addicted couple Vojta Pešice and Lucka Furstová. You need to go to the Holešovice District and there, next to the famous Holešovice Market you can’t miss a black painted building with its “Institute of Cryptoanarchy” sign. Ztohoven, an award-winning Czech guerrilla artist collective, teamed up with the hacker community to bring this concept to life. Its co-founder, Roman Týc, was managing the building during our visit. 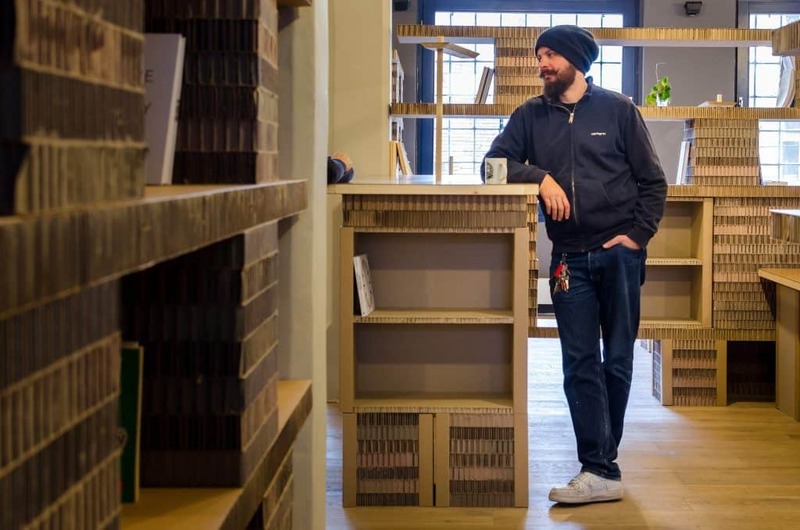 First up he served us Monday's special cupcakes to go with our cappuccino and filter coffee (Mexico, Finca Kassandra, Fully Washed), then he showed us around the Paper Hub, a newly opened co-working space created exclusively using paper, that sits just above the café. 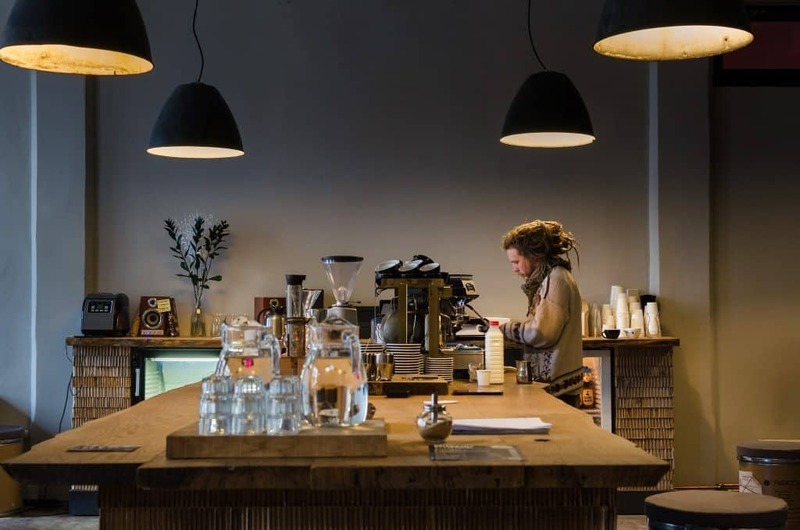 Bitcoin Coffee was originally meant as a coffee place for the community inside the building but more and more people are coming in from the street. It’s interesting to observe Vojta explaining to a customer that she really can't pay with cash and then showing her how to buy Bitcoins. As he later told us “I would rather give customers coffee for free than to see them leaving. Most people, even older generations, find it interesting though“. People working here are perhaps the only baristas in the world who get paid in Bitcoins! Once you enter, there are no doubts in your mind that this place is special. 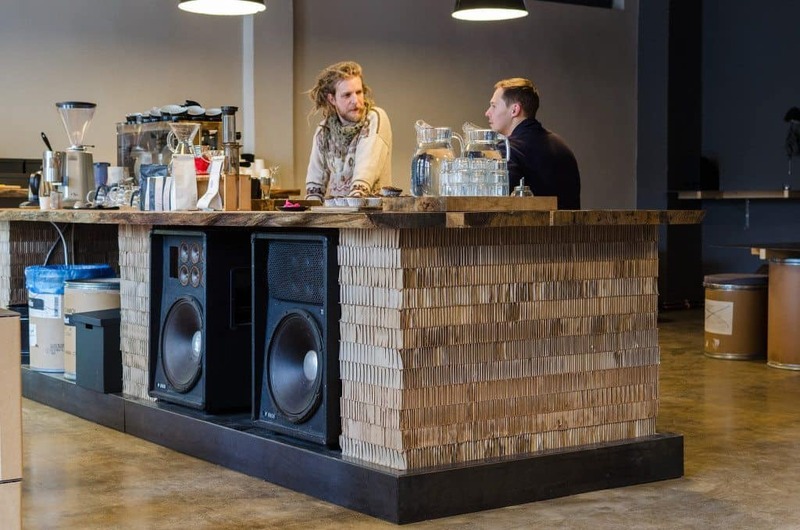 A machine to buy bitcoins, a 3D printer in operation, and a huge wooden bar in the middle of the space is what impresses you in the first few seconds. The espresso machine invites you to come closer and pull your espresso shot yourself and that is the point of the open-source philosophy of this place. 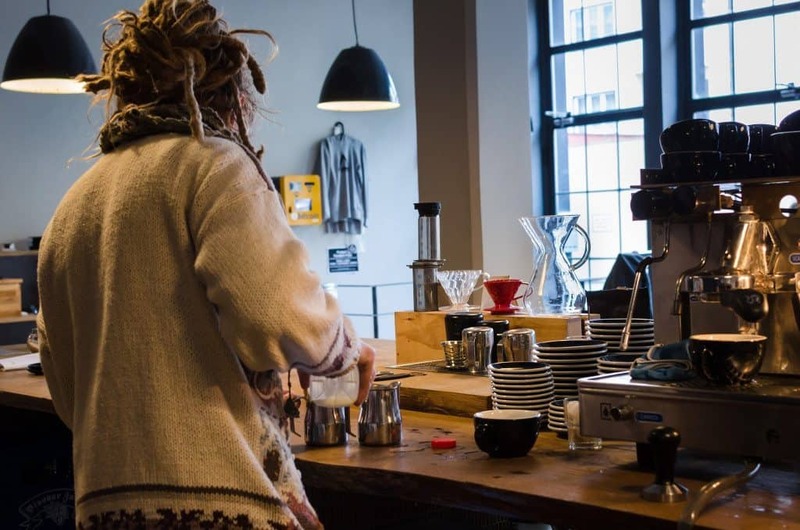 If other baristas come to visit, they are invited to try and experiment with the Synesso espresso machine and Nuova Simonelli Mythos One grinder. The espresso machine has a remarkable story to share. It was the first Synesso machine brought to Europe by Bonanza Coffee Roaster and it’s the first and only Synesso machine in the Czech Republic. Unfortunately, we couldn’t enjoy its presence as it had been sent for a well deserved maintenance service break. 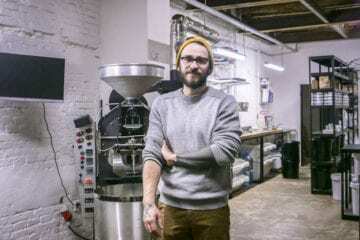 Vojta has been bringing coffee from Bonanza Coffee Roasters to Prague’s cafés for a long time and thus making a coffee selection was easy for him. Thursday’s regular cuppings additionally brings in coffee from various European roasters and the European Coffee Trip contributed to its first cupping event with coffee sourced in Hamburg and Amsterdam. Bitcoin Coffee is at the vanguard of new technology, they present the customer with a truly unique coffee experience and introduce them to the world of crypto currency with great tasting coffee. 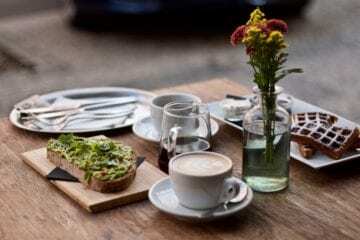 Far from being a gimmick Bitcoin Coffee is hoping other cafes will join them in using bitcoins as a way to pay for your coffee in the future.